An update from Eric Jackson: The Wall Street Journal reported a "scoop" overnight that Yahoo! could potentially save billions on disposing of its Asian assets through something called a "cash-rich split." I first reported on this structure for TheStreet six weeks ago, as it had been actively pushed as a viable option by shareholders (including me) to the intransigent board since the summer. Read the full post in TheStreet here. Siri seemed like a minor feature introduction as part of the iPhone 4S. It might just kill Google in 4 years time. David Kenny Won't Be the Next CEO of Yahoo! Chatter that Kenny might be the next CEO of Yahoo! now that he's left Akamai is way off base. Why do we constantly hear complaints about Apple's board when Google's goes whistling past the graveyard? Seen their 5 year stock returns? Steve Jobs' reality distortion field is twice as strong as Justin Bieber's. NEW YORK (TheStreet) -- Over the weekend, it was leaked out that Google(GOOG_) was interested in helping at least a couple of private equity players to finance a purchase ofYahoo!(YHOO_). Most folks have protested loudly against this possibility by concluding that such a deal would never get past the U.S. government. Google, with already two-thirds of the market share of the search space, would significantly increase that by taking over Yahoo! 's share and leaving the rest of the market to Bing, Ask Jeeves, and whoever else is left. Of course, that is right. Google previously tried to strike a deal with Yahoo! after the 2008Microsoft(MSFT_) buyout was pulled and before Carol Bartz signed up to outsource its search to Bing. That potential tie-up between Google and Yahoo! was discouraged by the government. So why is Google leaking out this information now? These are smart guys. They know that search is a non-starter. One cynical theory is that they have no interest in Yahoo! at all. They're merely trying to seem interested so that Microsoft will be forced to more aggressively bid for Yahoo! With a company that bid "pi" for the Nortel patents before Apple(AAPL_) and a consortium of others won them, I suppose anything is possible. However, I just don't see what the point is for Google to do this. Will leaking something cause Microsoft to bid $25 instead of $20 for Yahoo!? That would be the equivalent to an extra $4 billion to Yahoo! shareholders that Microsoft would have to pay out. That's not chump change, but is that really going to hurt Microsoft? And why would Microsoft really take such action based on one leak? Which leads me to conclude that there is real interest by Google in Yahoo! However, I don't think it's for its search business. I think the jewel for Google in the Yahoo! empire is its display ad business. That's a $2 billion a year business for Yahoo! and many believe that Yahoo! is dramatically under-monetizing it. 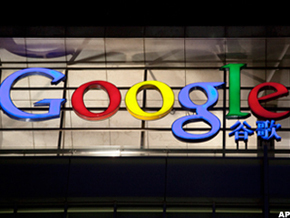 What could it be worth under Google using DoubleClick's technology? $3 billion? $4 billion? Google knows better than us. Siri is a hit with the Apple (AAPL) iPhone 4S. It's now the star of mainstream TV commercials. It works better than any voice recognition system I've seen in the past 11 years ... and I used to work for a start-up in the industry 10 years ago. What's been an even bigger hit since Siri was announced is Nuance's (NUAN) stock: It's up 37% in the past month vs. 7% for the Nasdaq. Nuance is the voice rec technology behind Siri. Many have speculated that Apple (AAPL) will now buy Nuance, because Siri has shown itself to be a hit and Apple would want to keep Nuance's speech rec technology out of Google's (GOOG) hands. I don't think Apple will buy Nuance. Why? Apple bought Siri in April 2010. The company has likely known since then that Siri would be a hit. Until the last month, Nuance's stock has traded between $20 and $15. In July 2010, Nuance's stock traded below $15, making it worth a little over $4 billion instead of its current market cap close to $8 billion. If Apple was convinced Siri would be a game-changer, why not buy Nuance back then? Yet Apple was instead entering into licensing agreements with Nuance, with the plans to bring Siri to market in a future iPhone. I suspect that Apple negotiated strict covenants into any licensing deal with Nuance. Think of it: The deal was a huge coup for Nuance. Not only that, with Apple bringing Siri to market in a future iPhone, Nuance would know that this would be the biggest marketing initiative for the voice recognition industry ever. It will sell a lot of voice rec licenses in the next decade because of Siri. So what would Apple have gotten in exchange from Nuance by partnering with it? Likely patent licenses and strict protections if Nuance is ever acquired. No way Apple is going to leave itself vulnerable if Google buys Nuance. If you're Nuance, you sign whatever deal Apple puts in front of you because ... it's Apple. What about the people who say Google might buy Nuance and replicate Siri? Sorry -- the magic behind Siri doesn't live at Nuance, it lives in Siri, the AI piece behind the technology. Nuance is the speech rec part. There are a lot of smart people at Nuance, but this is the commodity part of the application. Siri is a perfect example of what Apple calls its place sitting at the intersection of the humanities and technology. I know the folks at Nuance. They're nice. But they don't live at this intersection (except for maybe a few apps people). The company is a roll-up of basically every speech rec company that's existed in the past 10 years. I'm not sure if I will short Nuance, but I do plan on selling some premium on this recent move up. How Do Apple and Google Think of Talent Differently? Being a hiring manager for Senior Talent at Google seems to be a much easier job than at Apple. How would you known that Phil Schiller, Tim Cook, Jony Ive or any of the other managers were going to be so successful prior to them joining Apple? Eric Schmidt has some explaining to do over his attempt to portray a great relationship with Steve Jobs, given what Jobs just said in his book. Here are 12 specific actions Obama could take that would make many within the Occupy Wall Street movement happier. What Is Up With Eric Schmidt's Revisionist History of His Relationship With Steve Jobs? Eric Schmidt has been doing the talk show circuit since Steve Jobs died insisting the two men were close friends. Methinks the lady doth protest too much. NEW YORK (TheStreet) -- It's now been a week since Steve Jobs died. Tim Cook is nowApple's (AAPL_) CEO. Since Apple closed on Oct. 5 at $378, the stock is up 7.4% -- which is about 1.5% better than the Nasdaq. 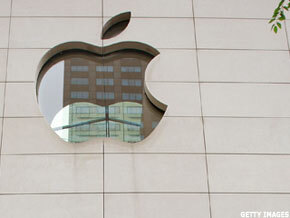 The company has announced its 4S version of the iPhone and rolled out its latest iOS 5. Obviously, we won't know the true long-term ramifications of the loss of Steve Jobs to Apple for a long time -- maybe seven years. However, it's obvious that the company has managed the transition from Jobs to Cook rather successfully. Shouldn't Apple's board of directors get some creditfor this successful transition? A few months ago, there was a steady drumbeat of criticism directed toward the board from what Conrad Black would probably call the "corporate governance zealots." Readers know that I'm one of the bigger proponents of strong corporate governance. But I must admit, it's been puzzling to me some of the governance criticism directed to Apple in the last year. A few days ago, Reuters ran a story with the headline: "Apple's board needs to step up to new era." Here are some of quotes from several "experts" about how Apple's board needs to be changed in the wake of Jobs' death. I don't fit with either political party. No one speaks for me. So here's my manifesto. What's yours? Why Does America Keep Re-Electing Bone-Headed Boards Like HP's and Yahoo!'s? Corporate CEOs get to pick their boards of directors to monitor them, then pay a lot of money (from shareholders) to maintain the status quo. Excerpts from my Interview with Chrystia Freeland earlier this year and her thoughts on the Middle Class and the Global Elites. Someone Should Just Go Ahead and Buy Yahoo! What Jerry Yang's interest in Yahoo! really means. Why it's a red flag that Netflix (NFLX) doesn't answer analyst questions directly. Last week, Megan McCardle called Steve Jobs' 2005 Stanford speech urging graduates to follow their passion "unsettling" and impractical. Here's why she's completely wrong. Erin Burnett has a history of making snap uninformed judgments and then inviting on guests or telling a narrative seeking to confirm her bias. She did it for years in her former business anchor role about the biggest company in the world: Apple. What will she do for "real news"? Occupy Wall Street has been all over the map in its messaging. As a result, it's drawn the ire of some. Here are 14 ways to do a better job next week. It's time to make a past wrong right. Andrew Ross Sorkin should apologize publicly or privately to Steve Jobs' family. Steve Jobs' comments from last October's earnings call - his last. Let's honor him, by remembering these lessons Steve taught us. Erin Burnett condescension at Occupy Wall Street is embarrassing for her. This group's feelings and motives come from a real place of pain which should be addressed. NEW YORK (TheStreet) -- A few months ago Facebook was rumored to be close to a deal with Baidu (BIDU_) about setting up a joint venture. At the time, I said I thought that it was a smart move on the part of Facebook (although the rumors of the day then said it was something that Mark Zuckerberg was insisting on over objections by Sheryl Sandberg). I remember a friend of mine, Bill Bishop, an American venture investor based in Beijing, was very skeptical at the time of such a deal working out. Bill pointed out then on his blog how many American Internet JVs had driven on the rocks of China over the last 5 years. I was reminded of Bill's thoughts last week when I watched an interview of Qunar co-founder, Fritz Demopoulos, who recently sold his Chinese travel business to Baidu. Fritz is a German, who got his MBA in the U.S., and then promptly went to China. He started two companies over there in the last 10 years. He has a uniqueperspective on the country and what it takes to succeed there. Fritz says flat out in the interview that he doesn't think that any U.S. internet company will ever be successful in China through a JV. His reasoning was pretty simple. Even six years ago, China's infrastructure was pretty immature vs. the U.S. Remember that was the time when Jack Ma sold 40% of his company for $1 billion to Yahoo! (YHOO_). Baidu and Tencent were early days. Sina (SINA_) was a boring AOL(AOL_)-type company. When big U.S. brands came to China -- whether MySpace or Google (GOOG_) -- they brought capital, know-how and coolness. Today, things are much different in China. The market is flooded with capital. Any private company with a decent business plan can come up with some money. There is tremendous technical talent available and it is much cheaper than in the U.S. It is getting a little competitive for the best talent in Beijing, Shanghai and Shenzhen but the costs are still far lower than the U.S. and the supply is very high.